Melissa Reabold is known for her passionate belief in, and the value of, collaboration through philanthropy, community leadership, and volunteerism to improve our community’s quality of life. Ms. Reabold has extensive experience in fundraising, marketing, management, operations, strategic planning, administration, and volunteer management. 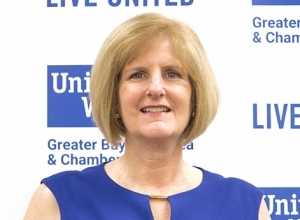 Prior to moving to Texas, Ms. Reabold was Vice President for United Way of the Cape Fear Area in Wilmington, North Carolina and most recently the CEO for United Way of Washington County, MD.